Whether your new startup is a traditional brick and mortar or a web-based eCommerce site, figuring out how to set up credit card payments and how to take online payments are obvious first steps. Unfortunately, many new business owners don’t put enough thought into properly setting themselves up to receive payments from customers. 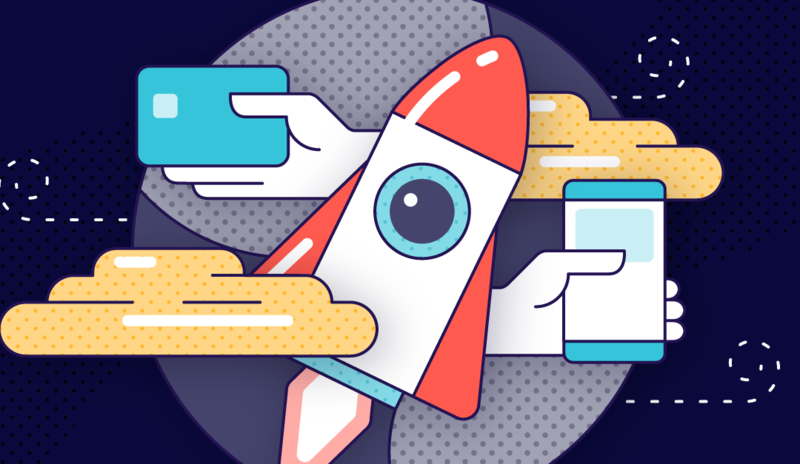 In this post, we’ll show you three important considerations for giving customers a fast, seamless payment process that makes it easy for them to get what they want and easy for you to start earning the revenue you need to grow. In the past, businesses needed to be set up to accept a few primary payment methods—cash, checks, credit and…well, not much else. Today though? Customers have more options than ever to pay for your goods and services. Not only that, they tend to get cranky when they’re unable to use the payment method of their preference. Whether your customers purchase your products online or in-store, they don’t have patience for a slow, confusing or error-prone check-out experience. In fact, according to Business Insider, 46% of online shoppers abandon their carts during the payment process. While you’ll never be able to eliminate online cart abandonment, there’s plenty you can do to ensure your online payment process is optimized for conversions and sales. Likewise, if your customers are paying you in person, it’s important to make it easy for them to swipe, insert, tap or scan their credit cards and mobile devices. Make sure all of your point of sale terminals are fast, responsive and operating correctly. After all, what good are your payment options if they aren’t satisfying for customers to use? Finally, if your startup offers an online storefront then you know how hard it can be to drive customers to your website. Once you have them in your ecosystem, why shuttle them off to another website to complete your online payment process? Think about it: customers decide to buy from you because they trust your brand. It doesn’t make sense to abandon them at the exact moment they’re parting with their money. Setting up a merchant account with a reputable merchant services provider can open the door to a wide variety of popular payment options. Not only will you be able to set up credit card payments and start taking online payments, you’ll also be able to add mobile credit card processing or offer customer loyalty cards to help drive repeat business. Learn more about how we can help your business, or contact us today!